i) Advance our understanding of the transition from magma to tephra under different external conditions, by exploring the physics of fragmentation mechanisms in different magma types and volcanic activity. 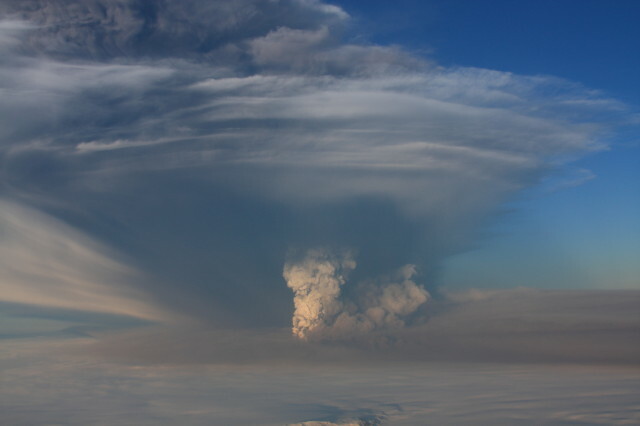 ii) Explore the physics of volcanic plumes and look at different models used in tephra studies. iii) Use the unique opportunities for field demonstrations of various types of tephra deposits found in Southern Iceland. Tephra deposits found there range from highly silicic plinian deposits, e.g. from the Hekla volcano, through intermediate deposits from the Eyjafjallajökull volcano, to phreatomagmatic basaltic tephra deposits from the Katla volcano. iv) Honour the memory of the 100th anniversary of late Professor Sigurdur Thorarinsson. The summer school combines theoretical lectures from leading scientists, presentations from participants and practical field excursions. A strong field component will be an intergral part of the summer school. The school is sponsored by Nordforsk. The overall structure of the summer school is four days of lectures from leading scientists, posters and presentations from participants and four days of field demonstrations. The summer school will take place in two locations, at Hotel Leirubakki, at the foot of the Hekla volcano, and at Hotel Klaustur in Kirkubæjarklaustur, South Iceland. These locations are close to the most active volcanic zone in Iceland where different types of eruption sites and large tephra layers can be studied. In the field trips a wide variety of tephra deposits and eruptions sites will be visited and studied. Deadline for application is 1st May 2012. All participants are required to pay a registration fee of 300 EUR (non refundable), which coveres tuition, course materials and transport during field trips. Furthermore, all participants must cover their own travel to and from Iceland, as well as accommodation in Iceland after the school (if required). There is a maximum number of 30 students in the course, with a number of places reserved for students from the Nordic countries, which support the summer school through a NordForsk grant. For students and post-docs based in Nordic institutions (Norway, Denmark, Sweden, Finland, Iceland) the cost of hotel accommodation and meals during the school is covered by NordForsk. Students from other countries need to cover the cost of 150000 Icelandic kronas (about 900 € at present exchange rate) for hotel accommodation and meals at the venue. We encourage the applicants to seek funding for their own expenditures. Students are required to present their work by a poster and a short introduction talk of 10 min. Abstracts should accompany the applications. Poster boards are 1 m wide and 2.5 m high, posters size should be within these limits. Katharine Cashman, Siwan Davies, Jennie Gilbert, Galen Gisler, Magnús Tumi Guðmundsson, Hafliði Hafliðason, Paul Martin Holm, Fred Prada, Olgeir Sigmarsson, Kari Strand, Thor Thordarson, Christel van den Bogaard, Bernd Zimanovski and organisers.